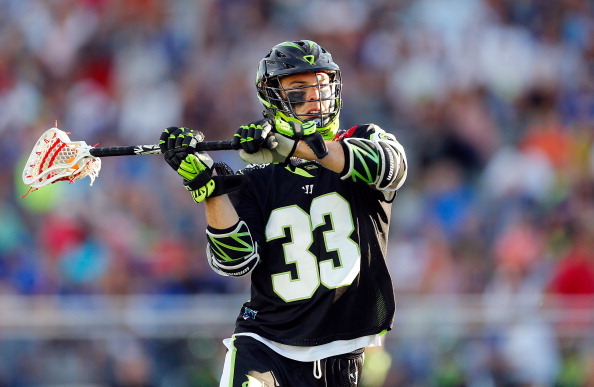 Interestingly enough, Cody Jamieson is on the New York Lizards 25 man roster. Brian Megill from the New England Black Wolves is listed with the Chesapeake Bayhawks, along with Minnesota Swarm defenseman Jason Noble. Cam Flint, John Grant, Zack Greer, Dillon Ward, and Geoff Snider are all with the Denver Outlaws. Mike Manley and Joel White are with the Rochester Rattlers. Let’s be clear on one thing; it’s highly unlikely NLL players will be skipping games to play in MLL to start the season. Most of these guys won’t be playing in MLL until June. Especially teams in contention like Toronto, Colorado, and Rochester. The Outlaws, the defending champions, miss the most. Grant, Ward, Greer, Snider, etc won’t be with them any time soon. Some players on Minnesota or New England might be able to come back sooner if they miss the playoffs, but either way teams are missing top players. Mike Bocklet made this roster at attack in their absence and is a player that will have to step up. This also includes Anthony Kelly who will be taking faceoffs until (if) Snider joins the team… But Kelly is a fine option to have one way or another. Walters was a key player that will be out for Chesapeake for a while, and this is why they added Matt Danowski. Chesapeake’s offense was dreadful last season and Walters was one of their only bright spots. A former captain of a team that went to a championship like Danowski is exactly what they needed. The only teams not in action are the Florida Launch and Chesapeake Bayhawks, meaning those NLLers have nothing to worry about. New England hosts Vancouver in the NLL on this day, leaving Logan Schuss, and Chris O’Dougherty unavailable. No NLL games on this day, but plenty on the Saturday before. Boston and Charlotte are off, but they have the least MLL players anyways. Buffalo is at New England. This leaves Kevin Buchanan out for Boston. It’s still unlikely many NLL rostered players try to fit in both. After this, it’s all playoffs and nearly impossible to say. However, one thing is clear; NLLers who want to play in MLL won’t have much of a chance to until early June.